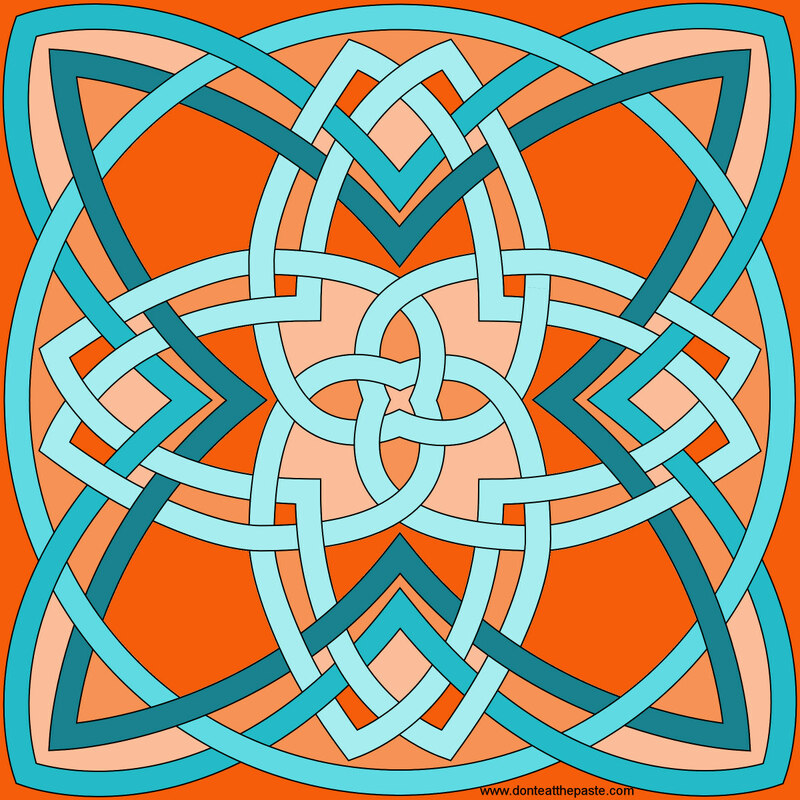 A brand new knot to color! 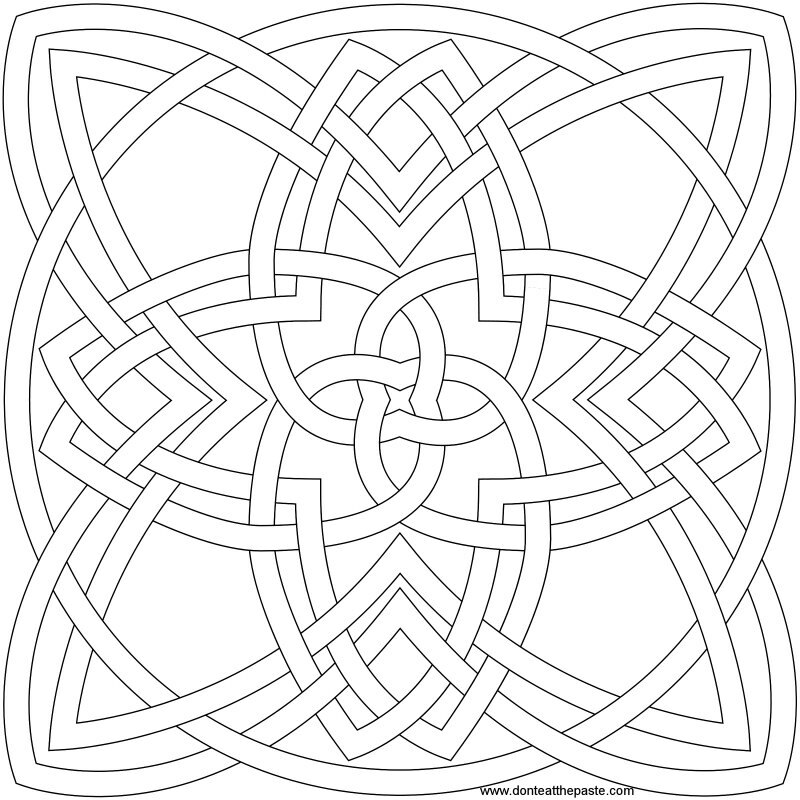 This four sided knot was fun to draw and I hope you enjoy coloring it. My husband works in housekeeping, heading up a housekeeping department. Recently at work, he was shredding papers, and found a few mandalas in the papers he was shredding. He thought "That looks familiar." and checked for a URL. Sure enough, someone he works with had printed out stuff from Don't Eat the Paste! He doesn't promote my site at work, so it was purely coincidental. So, if you work in Anchorage, and the head of your housekeeping department is named Mike, HI! Thank you for the smile! I love the therapists and yoga instructors who write to me and tell me how they are using the printables and mandalas from DETP. Thank you all.